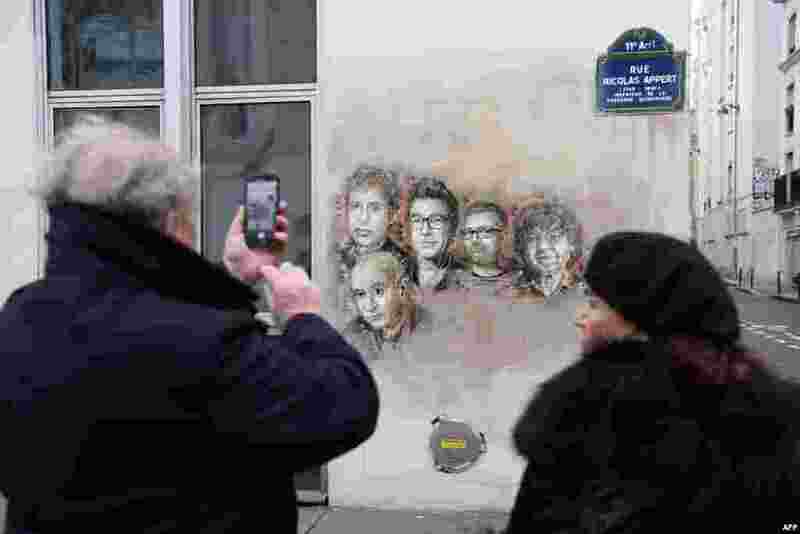 1 A man takes a picture of portraits (LtoR) of late French satirical weekly Charlie Hebdo's deputy chief editor Bernard Maris, French cartoonists Georges Wolinski, Bernard Verlhac (aka Tignous), Charlie Hebdo editor Stephane Charbonnier (aka Charb) and Jean Cabut (aka Cabu) near the magazine's offices at Rue Nicolas Appert, in Paris on the third anniversary of the jihadist attack on French satirical magazine Charlie Hebdo. 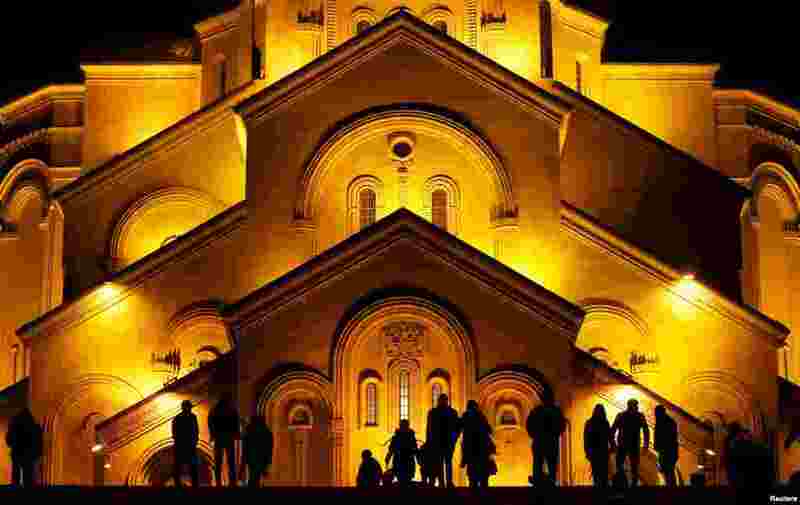 2 People walk in front of the Holy Trinity cathedral during a midnight Christmas service in Tbilisi, Georgia. 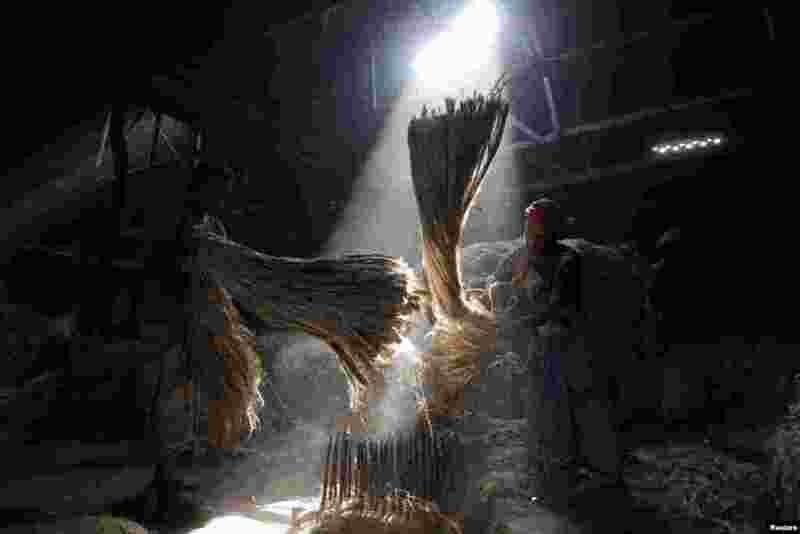 3 Sunrays enter through the rooftop as employees work at a jute processing mill in Narayanganj near Dhaka, Bangladesh. 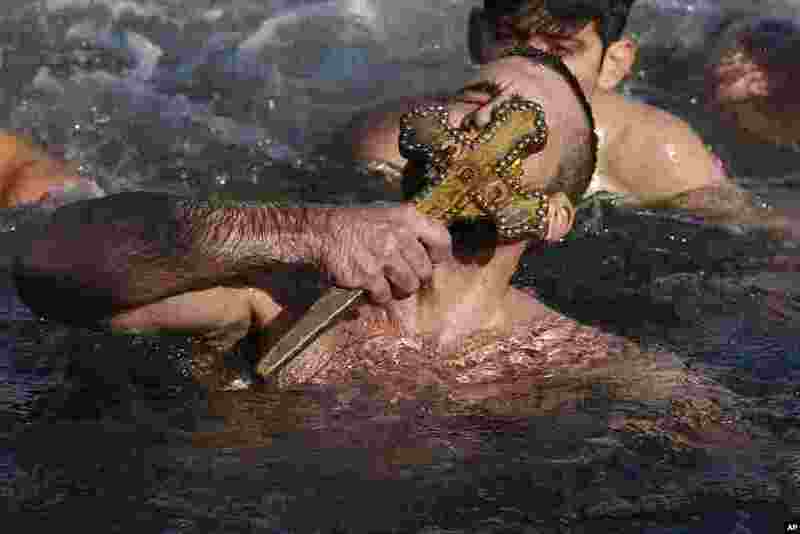 4 Nicolaos Solis from Greece kisses the wooden cross which was thrown into the waters by Ecumenical Patriarch Bartholomew I, during the Epiphany ceremony to bless the waters at the Golden Horn in Istanbul, Turkey, Jan. 6, 2018.